Begin by preparing the artichokes. Preheat the oven to 425 °F. Drain or defrost artichoke hearts then place in a single layer on top of several paper towels. Cover with a few more sheets of paper towel then press firmly enough to remove excess water without crushing them. In a medium-sized mixing bowl, stir together olive oil, garlic, salt and pepper. Add artichoke hearts and toss to coat evenly. Transfer to a large baking sheet. Assemble your sandwich by adding half of the Farmhouse Cheddar onto one slice of sourdough bread. 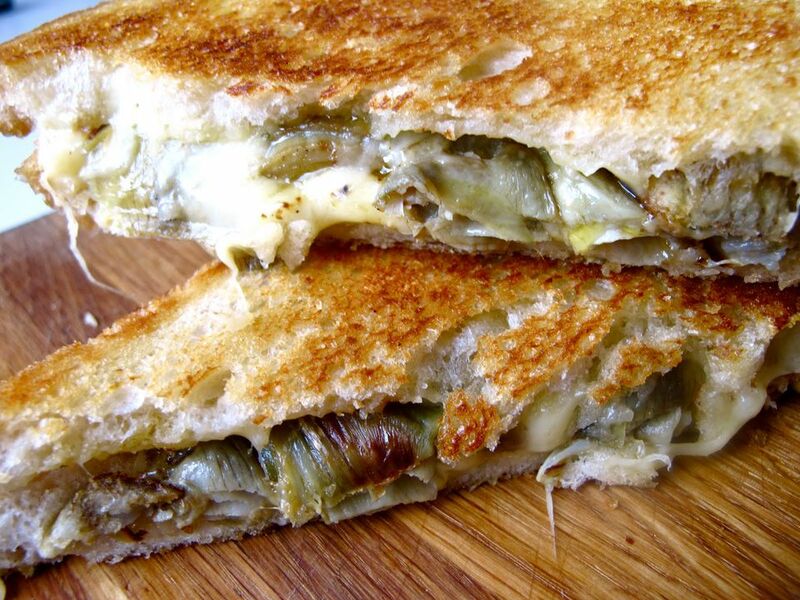 Top with the roasted artichoke hearts and the rest of the cheddar.